Now is the perfect time to consider investing in Luxury Ski property for sale in Otztal, Austria. Any outdoor loving family is sure to fall in love with the wide range of activities and breath-taking views on offer. You will experience year-round Alpine appeal within Austria’s Tyrol region. Many European-based ski resorts enter a standstill once the winter season has finished, whereas Austria and its winter playgrounds largely remain open for business. Figures provided by the Austrian tourist board have suggested that 51 per cent of yearly visitors arrive in the summer season, with a growing number of them being British, which is an increase of 4 percent year on year. The Otztal Valley in Tyrol is the second most popular tourist destination in Austria, only being surpassed by Vienna, attracting four million visitors each year. The area is full of traditional Alpine architecture but is still keen to explore innovation: James Bond fans will be able to identify the ICE-Q restaurant, a prominent building at 9,800ft above Solden which featured in the film Spectre (2015). Otztal prides itself on its family friendly atmosphere with strong emphasis on outdoor activities, which includes; snow sports for winter and hiking, biking, kayaking and lake swimming in summer. Oztal is 1 hour’s drive from German and Italian boarders, and 2 hours drive from Lake Garda. The village of Oetz in the Otztal Valley has a variety of supermarkets, a train station and a number of hotels and guesthouses. 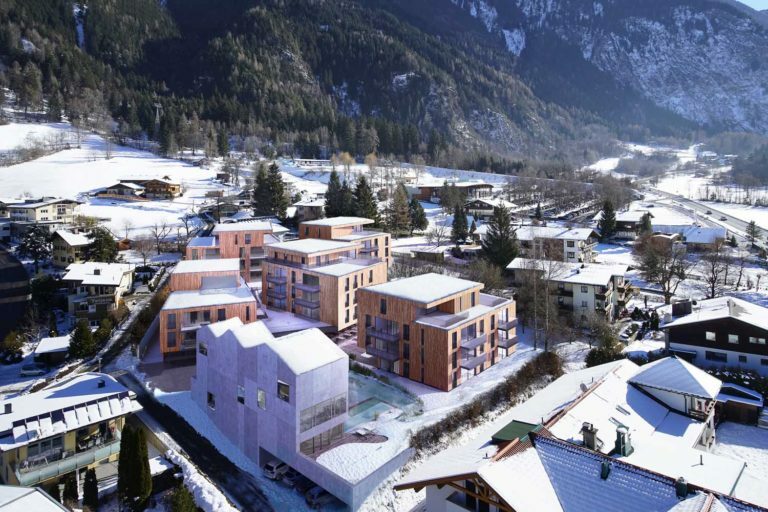 Kristall Spaces are also selling off-plan apartments at All-Suite Resort Otztal, which boast tranquil settings and breath-taking views. 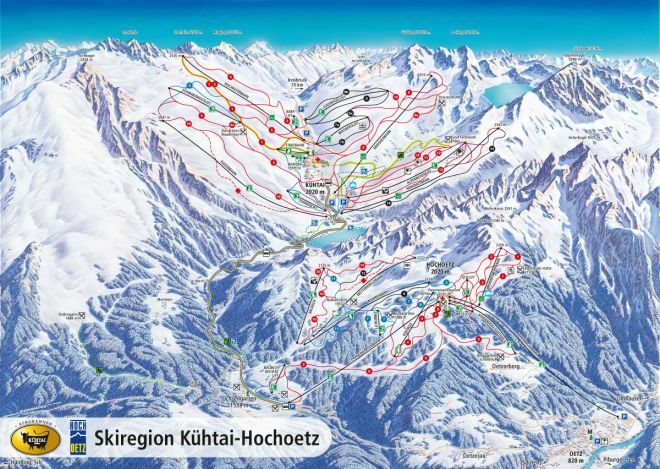 300ft from the resort is a ski lift which links with 50 miles of slopes, encompassing Austria’s highest ski resort, snow-sure Kühtai. All of the 55 one to three-bedroom apartments will be situated in five contemporary-style buildings, which will share indoor and outdoor pools, spa, restaurant and bistro. The prices for a one bedroom furnished apartment at 441sqft starts from £189,300. These apartments are VAT exempt, if the owner rents out the apartment for a given period. To safeguard this for investors, Kristall Spaces launched a letting arm called All Suite Residences letting– more information can be found: https://all-suite.com/. A net rental return of 4% is on offer for five years with on-site management. Where else can I Purchase? 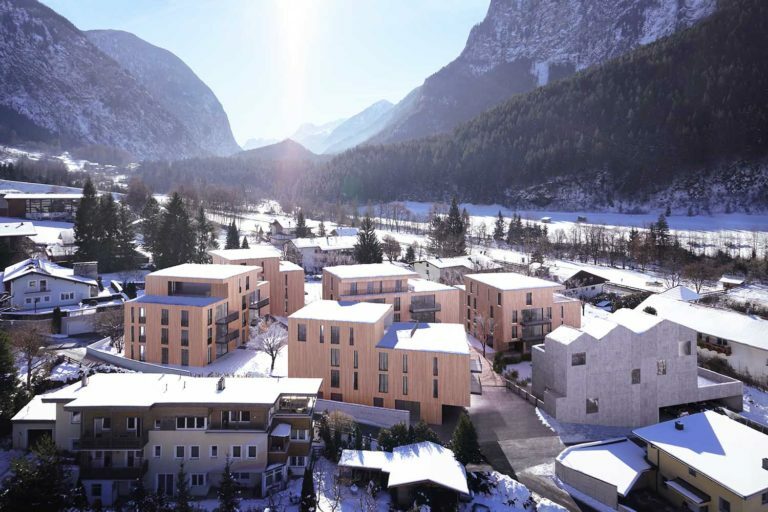 There are two other projects in the works from Kristall Spaces in the Tyrol area, Paznaun and Fieberbrunn, both from £183,000 for fully-furnished one to three-bedroom apartments. All of the two-bedroom homes start at £245,600 and three bedrooms from £362,000. Yearly service charges start from £3,345 and owners must ensure that they have made their homes available for rent. Paznaun is located within an hour of Innsbruck which is very close to Ischgl, boasting 175 miles of slopes and iconic upmarket après-ski. Fieberbrunn is a quant village, closely located to Kitzbuhel and lies one hour from Salzburg airport. This article was written by David Newman, Managing Director of Ad Lab Magento Agency. Oetz looks so stunning with all that snow, we have always wanted to visit Austria for skiing and totally inspired by our video. Hopefully our plan to visit the country next year will materialise.